An analysis of the impact of the distribution of wind flows on the nature of the possible pollution enterprises in Murom area. It is shown that there is a risk not only the transmission of air pollutants in residential areas, but also education sluggish. Keywords: wind flow, chemical industry, contamination. Grigoryuk E.N. 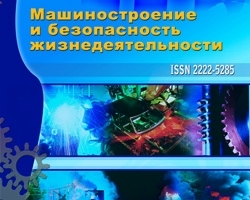 The influence of the chemical industry waste water to water districts Murom of Vladimir region // Engineering industry and life safety, 2012, № 2. – P.20-22. Tarasov V.V., Tikhonova I.O., Kruchinina N.E. Air monitoring. – M.: Forum: INFRA-M, 2007. -128 p.
Bulkin A.V., Shugaeva T.Y., Bulkin V.V. The reliability of the results of environmental control through training meteorological station // Methods and apparatus information transmission and processing. Issue 7, 2006. – P.78-83. Shugaeva T.Y., Bulkin A.V., Kiselev N.F., Bulkin V.V. The nature of some of the parameters of the synoptic atmospheric boundary layer // Methods and apparatus information transmission and processing. Issue 8, 2007. – P.55-60. Bulkin A.V., Bulkin V.V. The distribution of wind flow in an urban space as an element of environmental monitoring // Engineering industry and life safety, 2008, № 5. – P.14-20.